Victory Motorcycles Product Catalog featuring the 2015 lineup of motorcycles and accessories. Printed and Digital press kit to accompany the release of the Victory Cross Country Magnum. 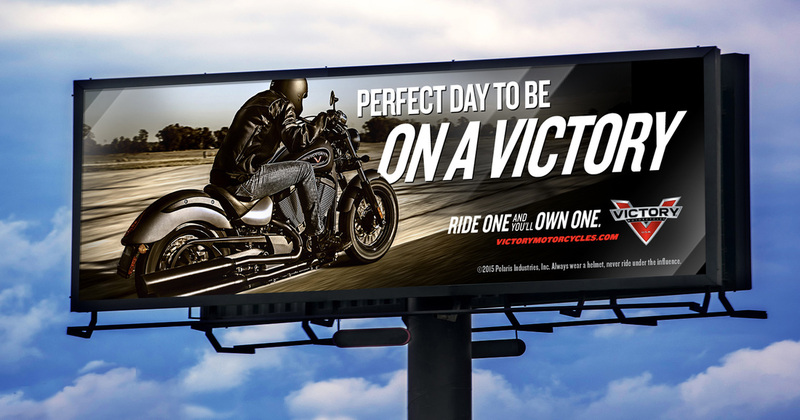 A range of Victory Motorcycles dealer promotions for their lineup of motorcycles, parts and accessories. Designs for the Victory Motorcycles Demo Tour fleet and Stunt Team van and trailer wraps.